We are still in a pattern locally with morning fog and some drizzle, then warm afternoons. Today we reach the 80s and stay near 80ºF much of the week ahead. But an earlier end to the warm spell is in sight thanks to a tropical cyclone. This is a pattern adjusting type storm. It will help drag in colder air and make it truly feel like autumn next weekend. But I also will be watching, plotting, and remembering how this tracks because it may play into my Atmospheric Memory Theory for winter events a few months away. This is the National Hurricane Center forecast track. 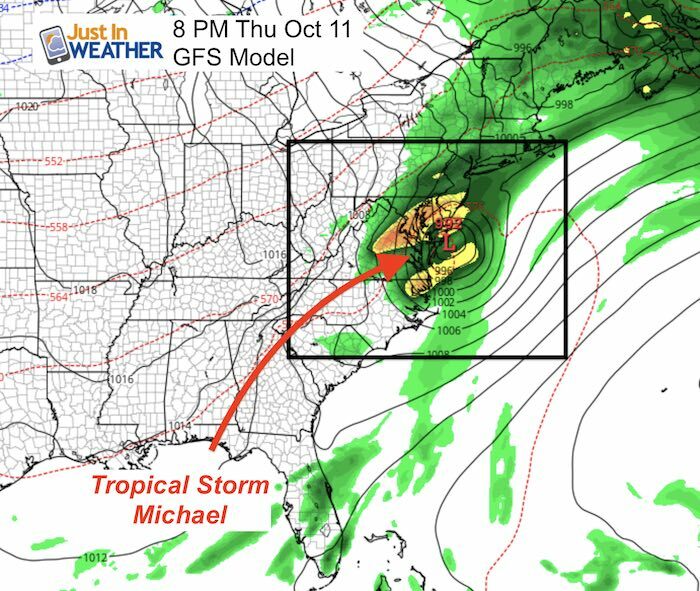 The expectation is that this will become a tropical storm later today and be named Michael. This will travel north into the Gulf of Mexico and briefly reach hurricane intensity. Then the track will move from landfall on Florida’s western Panhandle and curve towards Virginia Beach, just south of Maryland. Below is a look at the latest satellite, forecast models, and rainfall. Local Weather: Morning fog and low clouds will give way to a sunny afternoon with temps on the 80s. More fog possible Monday morning. Since the next few days will be warm and quiet, see the temperature outlook below. 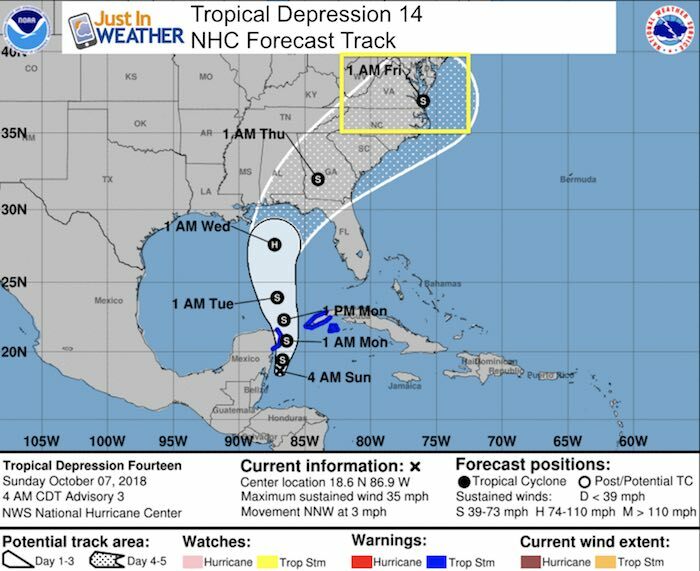 This is a focus on TD 14 becoming TS Michael. As of this morning, Low Pressure just east of Mexico’s Yucatan Peninsula is looking more organized. 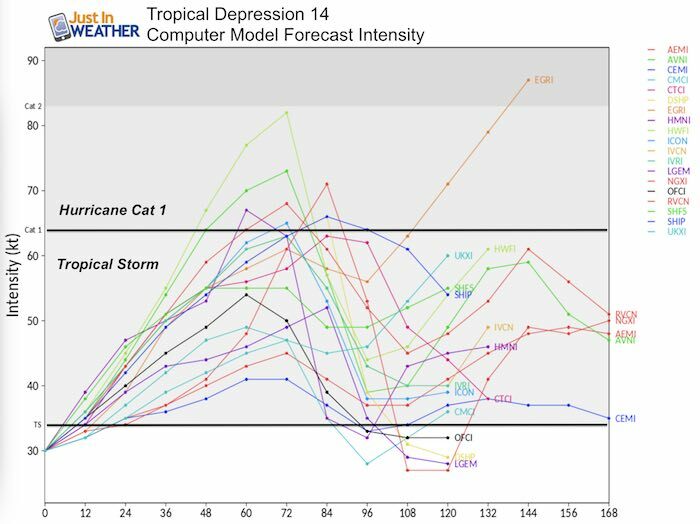 This is the GFS Model that does have its limitation with tropical features. I am shoring this because there is a good agreement of the track and timing of the core Low. 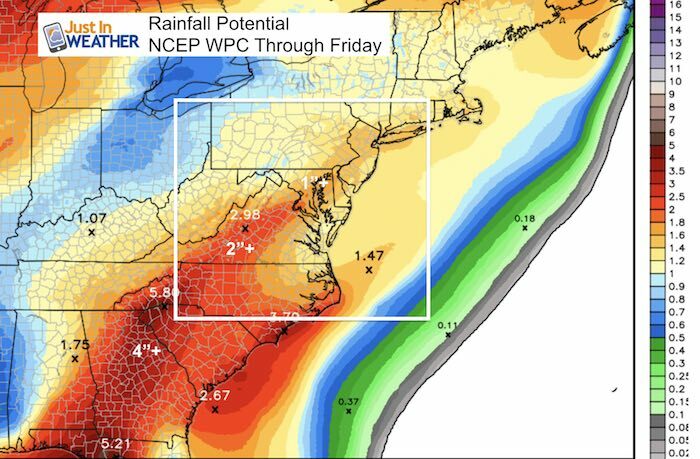 The rain intensity is still up for debate. Any adjustment of tack and timing in the Gulf of Mexico can shift this heavy rain… It has shifted north (closer) since yesterday. 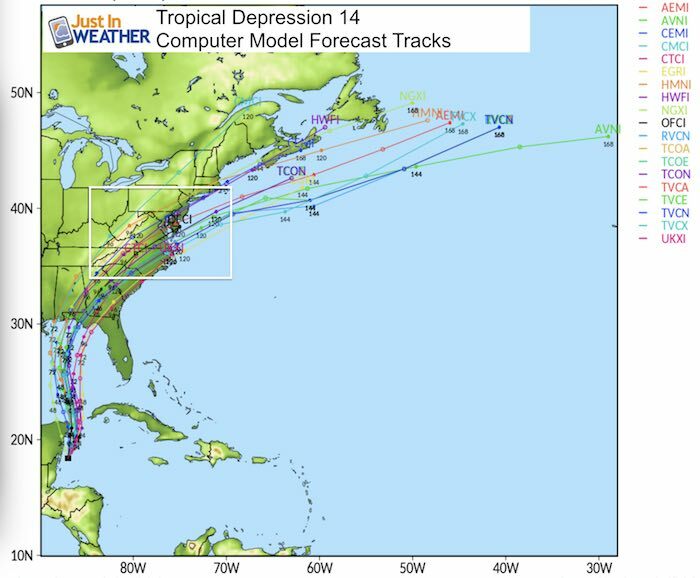 This is the GFS model plot showing the closest approach and passing just south of Ocean City Thursday evening. I still caution this precision at this time. As shown above, this storm is currently moving at only 3 mph. Any slight adjustment would shift the impact with a cold front and could chance the track and timing. As of now, we are on the edge of a 1 to 3 inch rain potential. But this ‘suggestion’ is subject to change with any shift in the size, speed, and track across the Gulf of Mexico as this develops.